Today I had loads of fun riding my BMW G310 GS off-road. I find this motorcycle so much easier to handle as compared to my Tiger 800 XRx. 46 kgs does make a world of a difference when riding off-road. With the lower power and the Continental TKC 80’s tyres it’s pretty hard to break out the rear wheel. This lets me ride the motorcycle in the dirt like a complete idiot, and the motorcycle forgives most of the mistakes I make. Or I can recover from things I shouldn’t have done. I completely disagree with BMW when they say that the 310 GS has “some” off-road capability. I think for an average skilled person like me it has “more” off road capability because it lets me do a whole lot more off-road. BMW’s statement may hold true for professional and highly skilled off-road riders who know to waltz around with a 250+ kg BMW R1200 GS in the dirt. The kind of people who teach others how to manage a big, tall and heavy adventure motorcycle off the tarmac. But for normal people like me who have a regular day job that doesn’t involve riding a motorcycle off-road, the BMW 310 GS definitely has “more” off-road capability, not less. 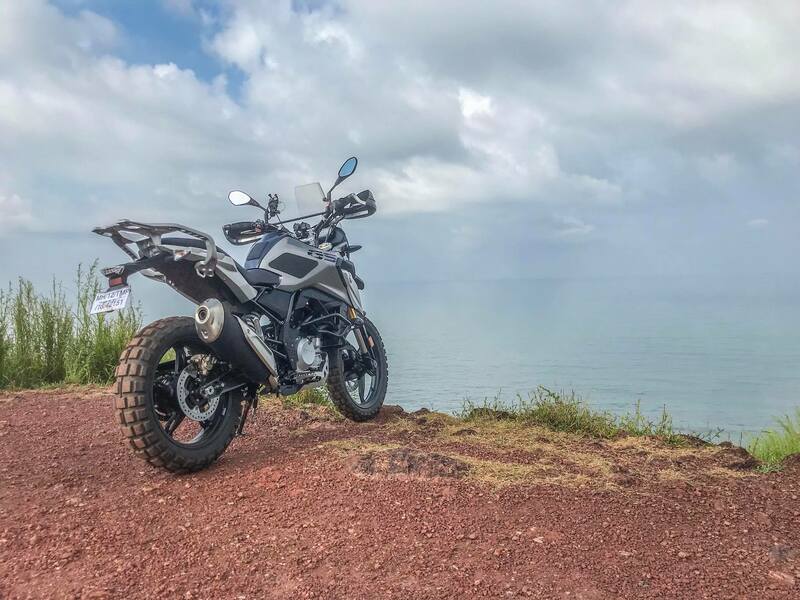 In my opinion, the BMW G310 GS is an excellent case where less is more.